Campaigning again! But I would rather be building. Much like @aggroed; today I noticed that I dropped out of consensus witness position, which is that among the top 20 witnesses. I am now just outside at number 21. I am known for often saying "First we kneel, then we rise! ", today I kneel before you, my community once again and ask for you to help me rise again, this is not something I can do on my own but only with your help. Being a consensus witness to me is a position of honour, one that I cherish and hold with pride, when I was first elected into the top 20, tears came to my eyes because I felt lifted up and honoured. To me it is strategic position to be able to be an effective ambassador of Steem with a degree of authority, for example in the recent listing of Steem on the Paytomat.com merchant point of sale gateway I was able to use my position as consensus witness and CEO of BuildTeam to be taken seriously in negotiations to get Steem listed on Paytomat. I have been on Steem since June 2016, one month before the live launch and have dedicated much of my life to Steem and its community. I continually try to think of use cases where Steem can be applied and am the humble builder that co-ordinates teams and gets stuff done. I don't often promote anything as my personal accomplishments; but rather as that of our team. Without a team and without a community, a single person cannot move mountains and effect change. How am I a servant for Steem? I bring a business mind and a level head to the table, I always put the needs of the community first in all consensus discussions, I think of Steemians first, no matter how much Steem they hold. I stand and I fight for Steem even at great personal cost. I bring mediation, empathy and diplomacy to the table in all situations. My story is often untold in my servanthood of Steem, many things happen humbly in the background, in my younger years I loved to be in the spotlight, but today I have changed ... I love to build and to serve and see the Steem ecosystem grow, hence I would rather build in the background rather than campaign in public, which is not efficient, my choice to remain in the background has just today led to me slipping in position. In recent events surrounding the Steem fork discussions, I found myself in a situation where many disgruntled stakeholders were voicing their discontent with the status quo, rather than risk a loaded gun being triggered in an unplanned and amateur manner, I decided to rally everyone together and get all disillusioned parties organised in one place, talking and coming up with solutions. Communication and teamwork I believe is the best way to direct energy in the correct manner for the greater good. My natural ability to lead and take charge of situations was the catalyst to get more than 60 people in one place discussing and agreeing that our ecosystem must undergo radical change in order to remain relevant in the crypto space. Steemit Inc did not take much notice of the individual voices until such time as I rallied them all together for nothing more than a discussion and exploration of options. It is not well known that as a result Ned made first contact with me and indicated he was prepared to come to the table and was interested in discussing a foundation proposal and cede some of the Steemit stake. I was elected as one of the first committee members to engage directly with Steemit inc to negotiate better terms for the Steem ecosystem. The outcome of my fire and passion to unite people, even at my own personal cost, helped lead Steem out of a stagnant situation of decline to a brighter future with some short term wins whereby Steemit Inc. has undergone a leadership change, where it is now communicating regularly in a manner that has previously never been experienced, Hivemind and Rocksdb have been expedited, SMT's and Steemit.com development are back on the roadmap, @blocktrades is well on the way to being contracted to develop a worker proposal system for Steem, and a new Steem Alliance has been formed as a potential community organisation to become the recipient and steward of a large stake from Steemit Inc as a step to decentralise development and stake to ensure Steem remains safe from any regulatory concerns. As CEO and co-founder of @buildteam, it is my pleasure and my passion to be a part of building on the Steem ecosystem. Many of her 8000+ registered users know and love GINA, the notification assistant that lets you know what is happening on the Steem blockchain via Discord. Developed by the talented and good-natured, @neander-squirrel, GINA has made the lives of many Steemians that much easier and more informative. GINA was on the verge of being shutdown due to rising server costs during the bear market, but BuildTeam stood up and took her under our wing as we recognised the value she brings to our community. Since then she has received a visual upgrade in her personal appearance and has several improvements under the hood, including warnings if you receive hyperlinks from bad actors from various blacklists, we will continue developing GINA and hope to give her a landing page and revamped settings frontend along with a host of new features including reminders for PAL live shows so you don't forget to attend the shows that you subscribe to. The MinnowBooster Delegation Leasing market was the first ever delegation market conceptualised by myself and built by the amazing team that is BuildTeam, under the guidance of our talented CTO @reggaemuffin. I recognised his amazing talent early on and teamed up with him and co-founder @cryptomancer to bring cutting edge services and concepts to the Steem ecosystem. MinnowBooster has to date serviced over 19 Million in Steem Power worth of leases and soon will hit its 20 Million SP hallmark milestone. We have been quietly developing an institutional friendly interface for the MinnowBooster leasing market, with a more professional external brand that will be DLease and hosted on the Dlease.io domain once released. DLease will be a specialist Steem Power leasing app that will be advertised to external investors looking for passive returns while remaining in full control of their digital assets. Below are some screenshots of what is to come very shortly. Long since having been the mainstay of automation on the Steem platform since 2016, Steemvoter is a trusted app having served thousands of Steem users to easily support their favourite content creators. We have revamped Steemvoter in the new beta facelift https://beta.steemvoter.com and added guild functionality for better community voting automation. New features include triggers on comments, upvotes and resteems for added automation flexibility. Techinvestor.io is a news content site that scours various media channels for the latest cryptocurrency news, in addition to this, it also pulls content via RSS feed from certain key Steem blogs such as @steemitblog. We are currently experimenting with an adserver and are nearly ready for an official launch, some users have already stumbled across this news site and have followed and liked the automatic Tweets. If you are interested to advertise your project on Techinvestor via banner ad or via a targetted article pulled from your own Steem blog, please contact me, @thecryptodrive. 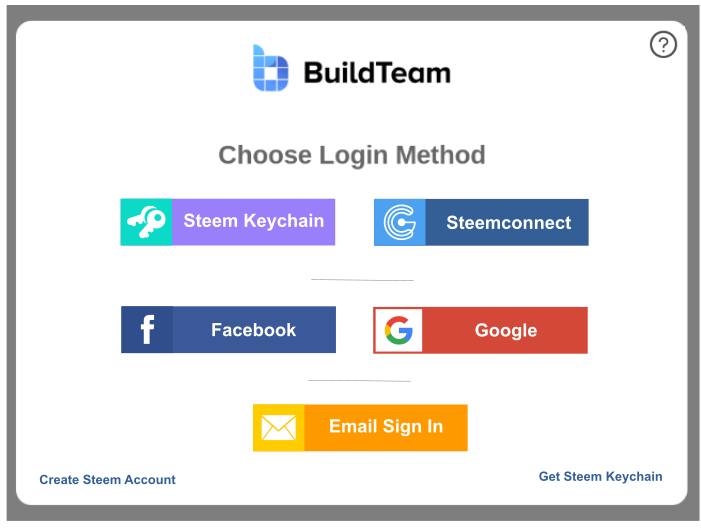 BuildTeam will soon be launching one of the most flexible and intuitive Steem sign-on portals for best-in-class access to our apps and services, allowing users to login with their choice of Steem Keychain, Steemconnect, Facebook, Google or personal email methods. I have had the pleasure to have been part of designing this interface and working alongside the amazing developer talent of @eonwarped and @reggaemuffin to make this possible. Look out for this brand new login interface coming to BuildTeam apps soon! We were one of the first to conceptualise and simulate a pre-smt token with the same staking period as Steem Power. The BUILDTEAM token is a tokenised representation of the success of the BuildTeam ecosystem and was designed to reward stakeholders with revenue emissions on their staked tokens. We had added simulated staking features to the ordinary Bitshares tokens to get our tokens to behave as closely as possible to powered up Steem in terms of staking and powerdown. More details about our token can be seen on our recent token post and links therein to our initial token announcement. What are you pledging to do to support the Steemit Community? I support the Steem ecosystem through developing business and innovative ideas and use cases for Steem. I am always an ambassador for Steem and help secure the consensus of the chain with witness, my reputation and integrity. What are you pledging to do to support the Minnow Community? I pledge to continue developing services that empower minnows and allow them to flourish, build communities and gain visibility for their content. What are you pledging to do to support the Minnow Support Project? We are already allied with Steem Monsters and are currently building out a Tokenbb forum for the Steem Monsters community. Furthermore I will be engaged on air on shows such as SOS Forums, hosted by @pennsif, in which I have already appeared twice. I am also available as a sounding board to the minnows of MSP who wish to discuss business ideas or need advice. In addition to the above, BuildTeam runs its own private RPC servers and exerts no load on the Steemit api's, there are many not so well known services on the minnowbooster.net site such as the Steem Monsters card reselling bot and discounted pack sales. We are always innovating and have made our home on Steem, and I have made my home on Steem and hope you have enjoyed all the varied services we have brought to the ecosystem. Due to the bear market, our service revenue closely covers our server and microservices costs and my witness revenue has been the only thing still allowing me to remain building on Steem on a full-time basis. 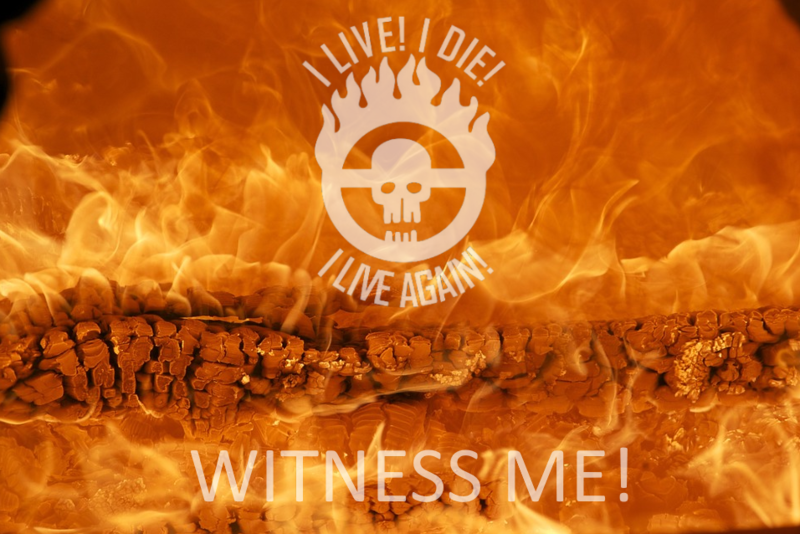 I humbly ask all my past, present and future freinds on Steem to consider voting me for witness if you have not already done so, help lift me up so that I may help lift up Steem to rise again! Thank you and God bless. I'm in full support of both @thecryptodrive and @aggroed. I'll make an italian post to gather the italian users votes towards you guys. You are both a solid foundation of the Steem ecosystem! Thank you my good friend! Bless you and the Italian community. I just voted you now! I hope it helps! Good luck! Thank you so much, every bit helps, I appreciate it! OMG, man! My posts I do on steemit never made more than $3 since a very long time! THANKS A LOT! Hey there is a first time for everything, your response right now is what makes Steem awesome, the euphoria authors get when they are rewarded. This is what makes Steem great. True, let's hope steem will become greater in the next months! I wish you a fantastic day! Thanks to @nelkeljdm , I get to know you. Let me try to get you some Chinese votes. For your information, the Chinese government had blocked all access related to steemit.com including api.steemit.com, hence steemconnect is out. Almost the entire Chinese community stuck now. Keychain sounds good, but Google are banned in mainland China as well, so as discord. Will be nice if your mentioned alternate login works with any of those Chinese server or Chinese email server. I will try to rope the Chinese in to onboard Steemvoter first, see how far can we go from there. Yeah :) thanks for your vote! Are you a dev by the way? Yes. I have recently developed a solution of all upload issues on DTube. It's an alternative IPFS video uploader that is easy to use, and easy to compile which makes DTube more decentralized because it's extremely easy to get their own upload servers running. Videos remain playable as long as it remains anywhere in the IPFS network. Website is live on https://uploader.oneloved.tube. All videos uploaded on @onelovedtube's servers will be replicated across multiple nodes for smooth playback, and they will not get deleted. There is a small fee of $10/month for access to @onelovedtube uploader to pay for the servers. Just voted. Hopefully it will help you get back to top 20. Xièxiè! I really appreciate it! I saw the vote come through. 谢谢你～ you work hard for the community. Am just thinking do you have anyone in your community that would like to do translation posts that we can post on @minnowbooster on a bounty basis? Awesome thanks, I'll have my team discuss and come back to you. Voted. Nice work on gina and buildteam. Thanks for your help, appreciated! I hope it helps. While I am indeed a regular user of the above mentioned apps (Few of them) . Glad that you came up with this open post. Glad to have users like you doing the best for the STEEM Ecosystem. @rehan12, your vote means alot to me because you also use our services and took the time to offer encouragement. You have a good diplomatic manner that will serve you well. Thanks again for coming to my aid. Wow! Surprised that whales are taking these actions without warning but demonstrates the importance of the middle class that continues to rise. I think the importance of your team’s action will secure you a spot again soon. Checked and have had you there since the Hard Fork! Thanks for your comment and support, the response has been overwhelming and I am only short a bit to regain a spot in the top again. Appreciate everything. This post needs a resteem. Bless you, thanks so much. I am full support of both and ill make an Italian post and gareth the Italian users votes towards you guys. You are both a solid foundaion of the steem ecosystem!! Lots of good info, thank you! I'm glad you found the Steemvoter guilds and hope they will be useful for you. Have an awesome day. Hey friend, thanks for your support and encouragement. I did make it back thankfully. I will vote for you. I do not have much SP only 4169 SP, but still vote for you. But may I know from which country you are ? Just voted...hope it helps you to up the rank. All votes are important to me, 4K SP is not bad actually, you have done well for yourself on Steem. I prefer not to talk too much about my location in public for security reasons. Have a great day also. I've been following you for a while and very much appreciate the work you have done for this chain of blocks. You are a true Steem OG! Been here from day one. Before I make any decisions, can you please tell me if you are for or against the proposed 20% cut in author rewards to fund worker proposals? Hey @runicar thanks so much for your reply and kind words. I think 20% is a huge cut, I feel there is plenty premined Steemit stake that can be ceded to the foundation / worker proposal and have the Steemit devs contract directly to the chain via worker proposal rather than being hired by Steemit inc, that would be first prize, if community rewards have to be reduced, I would suggest first reducing the interest inflation rewards which no one really notices and small accounts don't even feel it, author reward reduction as a last resort, and not to the extent of 20%. Maybe 5% at most. Those are my exact thoughts about the massive amount of ninja mined stake in their possession. Wish to see them fund a major portion of the foundation / wp with it. It's only fair and it was about time they use it for something other than dumping it on an OTC market. The only thing I can't agree with you is taking any % of interest. If anything, it should be higher and not added automatically to our balance like it is now, but we should rather make users have to claim it like author rewards. This would not only give some much needed visibility to existence of interest on holding SP which is probably an unknown fact to many Steemians but it would also greatly incentivize them to invest in more SP. I mean, around 2% a year is more than you get for having your money in a bank in some countries. Who would like to pass on such a sweet deal if it was 3% or higher? What do you think about what most users consider to be the nuclear option of raising funds through adding additional inflation? Yes that is why I suggested the interest as being better than reducing author rewards because not many users know about it or feel the difference so it would be easier to sell that option to the community. Steemit stake obviously being the most preferable way of funding the worker proposals of course. We need to be careful of adding additional inflation so as not to devalue Steem too much, but since inflation reduces 1% per year, maybe 0.5% can be added to the worker proposal pool, that way inflation effectively only decreases 0.5% per year. I like your views on the subject, respect you as a witness, a honorable and valuable member of the community and will trust you with my witness vote which is currently not that big but I know it's not meaningless. I only hope that you will represent the same views as stated here when the time comes for consensus witnesses (which you will soon become again) to decide on it. Thank you for your time @thecryptodrive and best of luck in your endeavor to get back in the top 20! I will do and thank you so much for your thoughtful conversation and your vote which means a lot. Every vote adds up, wish you well on Steem and hope to see you around again. Your article has enchanted me, I hope that not only is it among the 20 but that it is among the top 10, deserves it for its effort and dedication. God bless you. Thank you and bless you too @everymoon! For what its worth, you have my vote. Thanks my friend, I appreciate it and your long service to BuildTeam. And for what it's worth, you're definitely not getting my vote. This post is fascinated me.This post is important every one.let's get it all done..
What will happen to me if I do ?? Nothing will happen to you, it just means you have voted for me to be a consensus witness which means I will be one of the people that decide what code will be allowed to be altered on the chain and our servers also sign transactions to the chain. Kind of like voting for someone to represent you in government. About 28.67$ has been spent to promote this content. It is an honour to have inspired you, one of the things that drew me to Steem was the passion it could instill in people, especially when they rally together for a common cause. Judging from the responses on this post, Steem is still very much alive. Thanks for your energy and positive vibes! Another user said the exact same line on this post. Seems this generic "pickup line" is being used for trawling for votes. Is that a correct assumption? You are both a solid foundaion of the steem ecosystem! 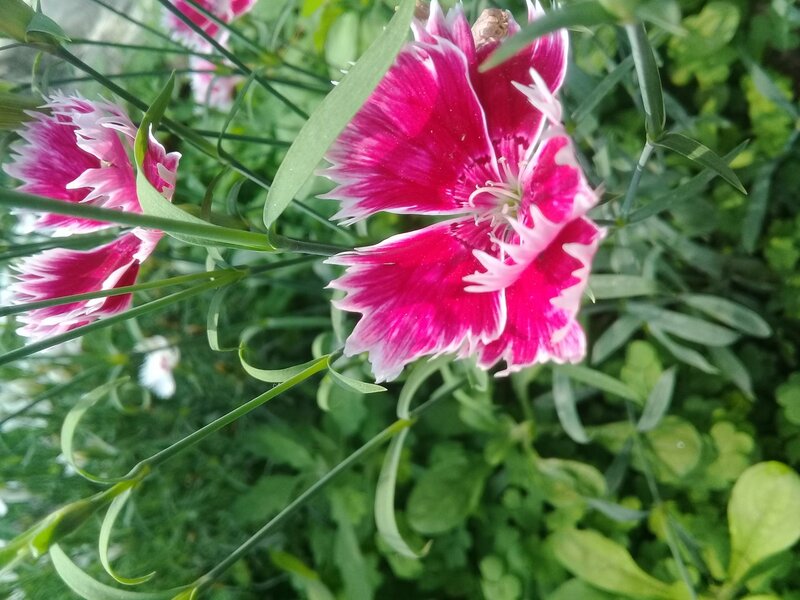 @steemium purchased a 12.67% vote from @promobot on this post. I support this campaign sir. And I would love to see you in top 20 again as you really help to bring the consensus fair & square. Knowing that you have been here since beginning I encourage people to vote for @thecryptodrive. Thank you @littymumma, it means a lot to me, your vote and kind words are much appreciated. You got a 18.36% upvote from @joeparys! Thank you for your support of our services. To continue your support, please follow and delegate Steem power to @joeparys for daily steem and steem dollar payouts! This post has received a 14.08 % upvote from @boomerang. Do you have any plans to propose an Equitable Community Builders lease market and separate it from the bidbot leasers? Who is not selling their votes and can afford a delegation at current executing APR? I know the lease is a free market, but i am sure that if there was a market that offered the opportunity to investors that think like @theycallmedan and what he says in this post to lease to those trying to cater for the author, for adoption, for retention, instead of having to constantly kneel and never rise begging for support it will add much more value to the platform and help making people actually trust and stay on the platform. Most of that stake is gone now, most of those authors still pester me on discord asking me if there will be a come back, If i am willing to stake up again and start begging again for additional support in a decentralized way to the Hispanic community. I am not willing to stake up again, but i am willing to use part of my stake to lease a decent amount of SP to provide support to the main curation project in Spanish, by catering for the users/authors that do not share their vision and are left behind, yet are great content creators. I cannot compete with bid bots and i refuse to sell my votes or to drain my own money to build on steem, I've done it for 18 months and sadly had to stop because i ran out of it. Hi @nnnarvaez, thanks for your reply, we currently do have a community section on https://minnowbooster.net/market what happens is it shows the community leases in a section at the top highlighted in orange, if you confirm your community account I can get it added. There is no guarantee that your lease will be filled if APR is less than the market rate, but does make it more visible. Currently there are alot of leases from 19% upwards, if you change your upper range from 18.5% to 19.0% I'm sure you will have a good chance of getting them filled, also if the lease is less than 4 weeks long it may be unattractive and if the SP value is too big not a lot of people can fill it. Try request leases in chunks of say 800 to 1000 SP at a time. Also sorry I can't vote your comment, my voting power is only 39% and needs to recover. Last week the lease APR distribution had about 60% filled between 15 and 16 or 17 % that is the reason i was trying those numbers, i set it for 4 weeks, maybe 40k is too much in one go? The steemit username of our community is @reveur, since we are at it i would like to propose also adding @votovzla another dedicated community project with an excellent track record of seriousness and commitment. Oh there are no community leases open now so the orange isn't showing, yes I do know @votovzla there was a dpoll about it recently. I will propose those two get added as community accounts. Lol 40K, no one can fill that.... after HF20 if you power down, have low RC or low VP you can't delegate all your available SP, so even if you have it you can't delegate it out. Do a mix of lease orders do some small SP but high interest maybe 1000 SP at 19% APR, and then some bigger ones of say 4000 SP @ 17 - 18%. Don't go over 4000 SP, the bigger you go the more lessors you exclude from participating. Obrigado for the advice, and for adding them. I will try that once I bring some steem back from the exchanges, today i moved all my liquidity to be part of the party. You are both a solid foundation of the Steem ecosystem. I understand 90 percent of you in this post. If you post more beautifully, we will understand better and we can improve. Thank you for posting this type, we want you to be able to improve one day. I just voted you now! I hope it helps! Good luck!Voted. Nice work on gina and buildteam.